Your small business needs customers. A successful Google My Business profile will help you reach customers. This ultimate guide will help you set up a successful Google My Business profile. There are also lots of tips and templates that will help you get ahead with your Google My Business profile. Whether you know it or not you’ve probably found businesses through Google. If you’ve opened up Google Maps before to search for a business, you know what it’s all about. If you don’t, stay tuned because I’ll get into a scenario that will clear it all up for you. You want your business to be seen by local customers and you want to dominate search results for your business name. That’s what you want, so why will a Google My Business profile help you? If you complete your Google My Business profile so it’s nice and pretty you’ll find a lot of ways it will help your business. It’ll improve your business online presence and put you in front of potential customers. If someone searches for your company you want them to find you. You probably want to dominate the search results for your company name also. 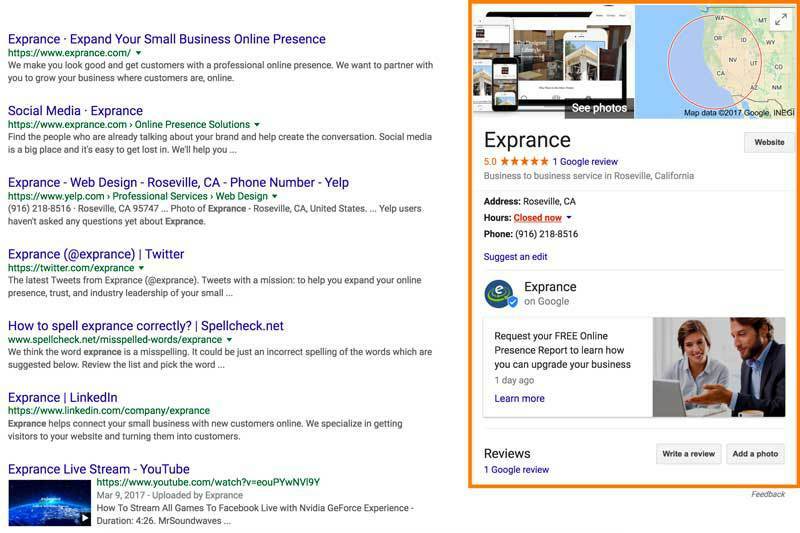 Regular Google search results are great but results from your business profile are even more prominent. They show up in a special place to the right of search results among other prominent places on Google. That’s cool but how many people are actually looking you up by business name? Maybe your business is popular and you get a lot of recommendations. People don’t just take a recommendation and call you, not these days. They’re going to look you up online! Wouldn’t you want this to be what they see? 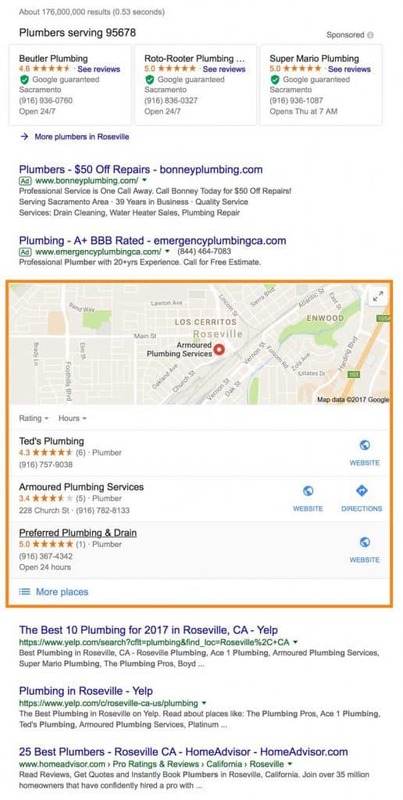 Your Google My Business listing goes beyond just the search results page though. For more general searches in your area for your industry and in Maps in your area, you’ll also show up. Showing up in the top of the business listings is better than showing up on the first page of Google search results. Because business listings get priority on the page above search results but just after paid ads. That’s a pretty good priority for your business. If you can achieve a top ranking then you’ll get great visibility. Let’s pretend we’re Ted’s Plumbing listed above for a sec. Johnny’s pipes just burst on a cold evening in Springfield, Oregon. Guess where Johnny’s preferred place is to turn when looking for a plumber in his area? You guessed it! He’s going to pick up his Android phone and open up Google Maps. He’ll simply search for a plumber in the search box and all the plumbers in his area will show. He’ll be able to choose from lots of plumbers and their phone number, details, and reviews are all available to him at his fingertips. Your starting point is to at least show up when Johnny searches for a plumber. Your Google My Business profile will make sure you show up. The next challenge is to be seen at the top of that list (like Ted’s Plumbing is) though which I’ll get into later. Before you get there you’ll need a few things to get started with a successful Google My Business profile. The requirements for creating your Google My Business profile isn’t a lot and best of all it’s completely free. You need a Google account set up. If you are signed up for any Google service then you have a Google account. That means you can be signed up for Gmail, Google+, Drive, Maps, etc. Ideally, since you are setting up your business, you’d also have a business email branded to your domain. Google has a great suite or product just for small businesses, G Suite. If you already have G Suite then you’re set. You can simply move on to setting up your Google My Business account. If you don’t have all that, log into your Google account (Gmail probably) and then continue onto setting up your Google My Business profile. You start setting up your Google My Business profile on Google My Business so that’s the first place you need to head to. You’ll have to agree to their terms of service, pretty standard. You can set up multiple Google My Business profiles in Google My Business or even have multiple locations for the same business. 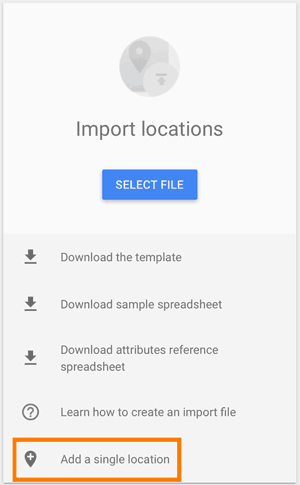 If you have multiple business locations and you want to set them all up, you can download the template and go through all that. For this guide though, we’ll just add a single location. Now it’s time to get into configuring your actual profile that will show up when people search. Your Google My Business profile is at the center of Google My Business. This is where everything from your business name to your pictures is customized. We’ll run into a few things along the way that you’ll probably have to go out and create. You’ll need a cover photo, profile photo, and a logo at least. The more pictures you upload the better it is for your business profile. From where we just left off above though it all starts with your business name. This is what the initial setup screen on Google My Business looks like. This is pretty simple for you to do and it should be kept simple too. Don’t try to put a bunch of extra information in the business name. Just your business name and that’s it. Nice and simple. You’ll next need to set up your country or region. Once you select a country or region you won’t be able to change it so make sure you choose the right one! Even if you don’t have a shop or somewhere customers can go, make sure you enter an accurate address. You want to enter your full address and not just part. Later on down the form, you’ll be able to tell Google My Business you don’t want to display your full address. Your city, state/whatever, and country will still be shown though. This is a must in most cases unless you absolutely refuse to take calls (never good business practice). 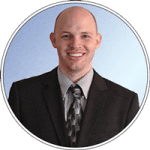 This will have a prominent role in your business profile so you should include it. They get a special place when your business shows up in search results (especially your phone number). This is important for helping your business show up in the correct search. When you’re initially setting up your Google My Business profile you can only add one category. After you’re all set up then you can go back and add more. You’ll want to include as many categories for your business as is relevant. You can’t overdo the categories right now but when you add more don’t overdo it with irrelevant categories. 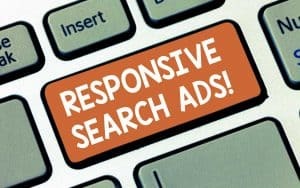 Google won’t like that and it will have negative effects on your business profile. The more specific your categories, the better. Google makes it pretty easy to enter categories. As you type you’ll get suggestions. This is a great place to bring people to your website or a landing page with more details. Make sure you have a good website that helps convert visitors into leads rather than chase them away with lack of trust in your business. If you include a website then this will prominently display as one of the actions people can take when they see your profile. 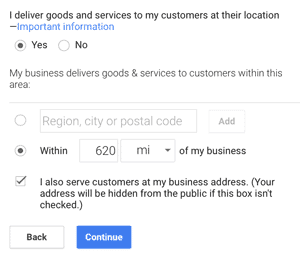 Google Business wants to know if you deliver goods to your customers at their site or not. 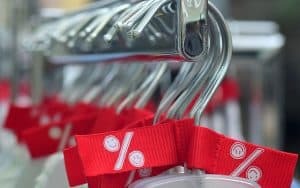 If you are an eCommerce business then you’ll probably select yes. 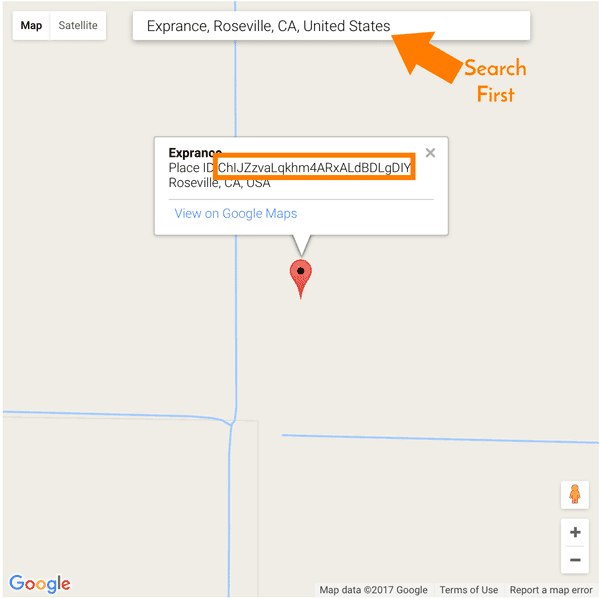 This will help determine if your full address is shown on your Google My Business profile or not. Once you click next after you’ve filled everything else you’ll get different scenarios whether you selected yes or no. If you selected no you’ll only have to verify that you own this business. Your address will show up in your Google profile also. This one is pretty simple and you’re almost done. If you do deliver products or services to customers then you have a little further to go. If you own a flower shop or similar business then it gets a little more complex. You sell flowers in your store but you may also deliver them to customers. If you do deliver goods to customers at their location (as do I in a way) then you have to tell Google within what region or distance. The distance can be up to 620 miles away (yes I tested this). You may serve customers at your business location also. If you do simply select the box that says you do. 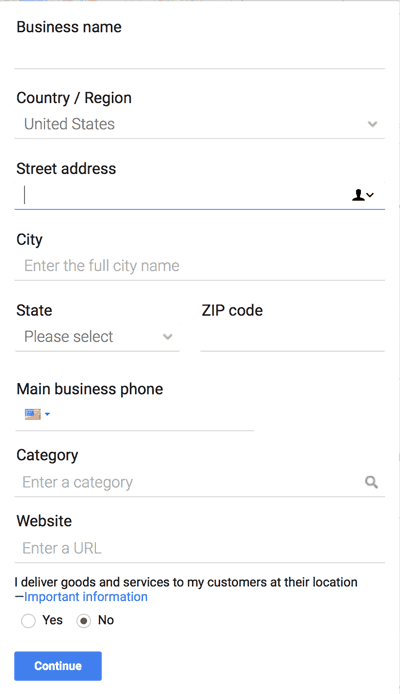 When you select this last box then Google will show your address in your business profile. If you don’t select it then only your city, state/whatever, and country will show up in your listing. After you finish everything you’ll end up with the same confirmation box as above. You’ll have to verify your location in Google so I hope you didn’t use a fake address. Google will actually send you a postcard with a number on it to verify that the location is your business. Google will try to “upsell” you on a few extra things. I say upsell even though it’s free. It’s up to you if you want your free website. Just a warning though, it is going to be a free DIY website which isn’t going to do much but give you a basic (and arguably useless) online presence. There are still a few things you need to do to make sure your profile is completely finished. The next step Google My Business wants you to do for your profile is to set up your photos. The next few steps to complete your profile 100% are easy to find. Take a look below the top section on your business profile settings page and you’ll see the setup wizard. Just click the add profile photo button to finish this step up. Google doesn’t provide very good details on the dimensions your images should be but they do provide general guidelines. Make sure you upload both a cover photo and a profile photo. Once you upload a picture Google will let you crop it so you can fit it to their required dimensions better. Be sure to also upload pictures of your business, products, and team. The more pictures the better in Googles (and searchers) eyes. Interior – Post photos of the inside of your location so customers know what to expect. Exterior – Post photos of the outside of your location so customers can find you. At work – Post photos of your team at work, doing what they do best. Team – Post photos so customers can discover more about your business. Identity – These come from the overview tab except for the logo, upload your company logo. Back on the home tab, you’re a lot closer to finishing up. What does the wizard tell us now? Hours! That’s an important part of your business. How else would someone know if you’re available or not without the hours? Your hours should be complete and consistent with anywhere else you have them listed. The most important part of your business listings online is that they’re consistent across every website. It may mean you have to do some managing and keeping track of everything. It does matter so don’t forget to maintain your profiles. You should now be finished with everything unless you didn’t enter a website. If the wizard is still up and you finished everything you want, ignore it or close it. Your hours may change depending on holidays or your vacations so the next section is important. Make sure you keep your Google My Business profile hours updated. That means if you are changing your hours for a holiday, make sure you update it here. Google makes it easy to include holiday hours. From your Google My Business management page, you’ll have to open your business location. From there you’ll see and add special hours section. That makes it easy to change your hours for upcoming days (holiday or not) and your hours will return to normal after that date. From within your business location, you can also assign someone else the ability to manage your listing. This is important if you have employees who you want to assign to update your Google My Business profile. If you do assign someone else the ability to update your listing, give them only the access they need and only when they need it. That’s always a good security protocol. Google lays out pretty well what each role has the ability to do. I saved the best for last which is a new feature Google recently released. This one is new(ish) to Google My Business listings. It’s a great new feature but there’s a lot to say about it. Yes, so much that it even deserves it’s own post. You can find more details about the new Google My Business post in this article. Posts on your business listing will give you greater visibility to customers and it will do a great job at engaging people with your business. Your business may have several physical locations. Running a business with multiple locations is done a bit differently for your website and for profiles on directory sites. If you do have multiple locations then you can easily manage all of them in Google My Business. In the setup process, you saw where you could import them all from a file. You’ll just need to keep a spreadsheet with all the details (in the right order) and then you can change that and upload it when there are changes. That’s a lot easier than having to go through each location in Google’s interface and making those changes. If you already have one of your locations added, the big blue plus icon in the lower right corner of Google My Business will let you add another or import all o them from a file. 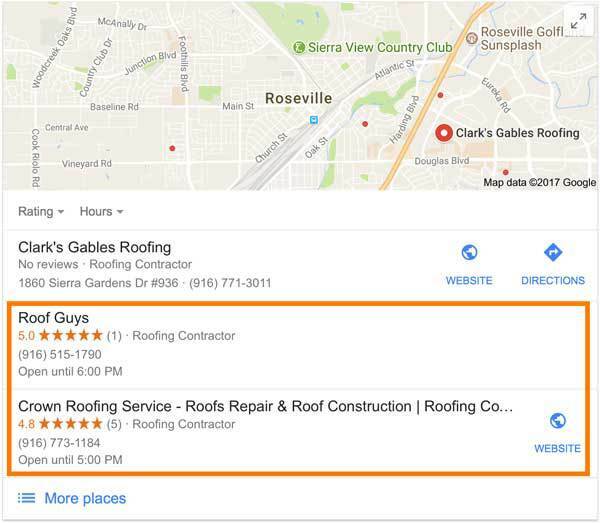 With all your Google My Business profiles setup there’s one thing you must do so your listings stand out more and are ranked higher. You’ve completed your profile and you’ve included lots of pictures. That’s a good start and will set you up beautifully for this most important step for your business. You need to go out and get reviews for your business! Yes, that is the key ingredient to showing up higher than your competitors in Google business searches. With lots of ratings, you’ll show up higher for Google searches in Google Maps and Google search. Which one would you click on first? Probably one of the businesses with ratings. Since most people get a few quotes then maybe both of them. The only thing the first listing has going for it is that it lists a website and directions to their location. Google makes it fairly easy to get reviews but it’s not as easy as it could be. You don’t want to tell people to jump through a bunch of hoops to find your business and then leave you a review. Luckily there’s an easy tool you can use to create a URL that goes directly to review your business. Google has instructions for getting the Place ID of your business so you can create your own link to send customers. You can see how it works by checking out the custom review page for Exprance. Get your business Place ID first (just search your business and you’ll see the Place ID). You just need to contact your customer with a well-crafted email that asks them to leave you a review. Lucky for you I have a review request template already created for you that will make your job even easier. But what if you get a not so great review and you’re unhappy about that? Who wouldn’t be! Sometimes you’ll receive a negative review on Google My Business or any review site. It’s unfortunate but it does happen. Fortunately Google Business gives you the opportunity to reply to reviews for good or bad. Before you jump to responding to a negative review, make sure you take the time to go through the steps to resolve negative reviews the right way. Your Google Business Profile is one step in the process of expanding your business online. It’s a good start but you need more. Many people will do more research on your business than just the first place they find you. That means people will check out social media, your website, and reviews too. Schedule a free 30-minute consultation with me to discuss how we can get your business seen online more. Managing your local business on local directories is also an important part of having a strong online presence. We make that easy for you. Great Information Nick, I wish I had found this sooner. I have a mobile business and recently realized Google Maps has me listed with a fictitious street address just outside my service area. I took steps to correct it, and as you explained here in the verification process of Google my Business, I had to prove I was the business owner. At this point I wish I had never tried to update my information. 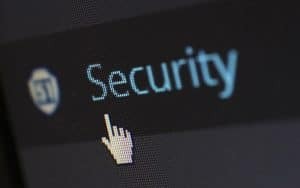 Maybe you can advise readers on my mistake, but after the update/verification I lost 10 years of browsing history for my business as I was considered a new business (in GMB’s eyes). I have worked furiously to get reviews, made posts, etc… and it has helped, but I’m sure there was a better way to do this. I’m stressed out and business has slowed tremendously, I’m sticking with it and hope things improve. You may want to try to claim the listing with an established history if it’s still available out there. That would be a shame to lose all that hard work. Sometimes you are at the mercy of Google though, unfortunately. I wish I understood the process and terminology better going in. I thought it was a simple matter of proving I was the owner and then updating my address on Google Maps. I waited weeks for a post card that never showed up, so I did a video chat with GMB which verified my business a day later. At this point I thought I was set. My old Google maps location shows as closed, and the new location is correct now, not sure I can claim the old listing now? Hey Tony, I’m not sure you can claim the old listing but I found an article that may help you. It’s about marking an old listing that’s marked as closed when it should be moved to a new location. Awesome post, Nick. I also always suggest using local phone number in the listing instead of 800 one. Google tends to rank those higher on the 3 pack. Absolutely Mike. 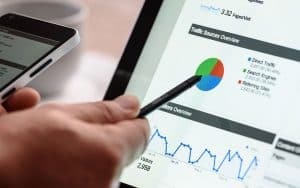 Tracking is great but not at the expense of consistency for your business and ranking factors. If I’m going to use a phone number for my business then it’s going to be consistent across the internet.